Chronic Wasting Disease (CWD) continues to worry deer biologists, managers and hunters across the country. It isn’t going away. It’s only getting worse. Many people aren’t aware of CWD, or simply don’t understand the full breadth of the threat it poses. Most researchers believe CWD is caused by an abnormal protein referred to as a prion. Once contracted, it is an always-fatal disease that thrives in the nervous system of cervids (deer, elk, reindeer and moose). It can be passed on through saliva, urine, feces, spinal and brain fluids, etc. Similar diseases affect other animals such as Bovine Spongiform Encephalopathy (BSE) which is also referred to as Mad Cow Disease. It’s also found in sheep, known as Scrapie. Interestingly enough, we already know that Creutzfeldt-Jakob Disease (CJD) — a sister disease to BSE and CWD — is capable of infecting humans. That aside, you might have heard the recent claims, or read the headlines, that said a cure for CWD has been found. Well, technically a cure hasn’t been found, yet. But one former Louisiana State University neuropathologist, Dr. Frank Bastian, believes he’s on the right road to discovering it. And all due to his belief in his research that points to spiroplasma — and not prions — as the causative agent of CWD. In other words, he believes CWD is caused by bacteria — not malformed proteins. “The point is that we have really shown that the bacterium is involved in this disease,” Bastian said. “In that sense, the door has been swung open in being able to start to control this. The big thing that’s happened to me is I’ve been able to grow (the CWD bacterium). I was dead in the water if I couldn’t grow it. I can now characterize it. I can get it in self re-culture. I can develop anti-bodies to it. I can develop tests and vaccines. This is going to be a big difference for the hunting industry. The real question, though, is how does this help wild deer? Many believe it would virtually be impossible to administer vaccines to wild cervids. And if Bastian’s claims are correct, there are still many factors that must be considered. Darrel Rowledge with Preventative Safety Research, Inc., made those thoughts known. Despite Bastian’s research, overall, there are many leading research authorities who don’t completely agree with his findings. The Quality Deer Management Association (QDMA), among others, recently came out with a response to Bastian’s work. The National Deer Alliance (NDA) also had a response. “Please consider the following research, which is related to the claim currently receiving a good deal of publicity that spiroplasma bacteria are the causative agents of transmissible spongiform encephalopathies (TSEs) like chronic wasting disease (CWD),” NDA said. “We are encouraged that researchers continue to seek answers about this very complicated disease and are hopeful that what is learned can help us make prudent decisions about how to manage it for the long-term health of wild deer, hunting, and industry. The NDA pointed to several studies and their findings. “An extensive research project completed at Louisiana State University on the potential roles of spiroplasma in transmissible spongiform encephalopathies found that following inoculation of spiroplasma mirum into neonatal goats and 5-month-old white-tailed deer, none of the animals developed clinical signs or pathology seen in transmissible spongiform encephalopathies. In this study, the bacteria were introduced to the animals intracerebrally, intravenous, or intradermally. Additionally, researchers conducting this study tested three species of Spiroplasma and found that they were susceptible to minimal dilutions of common laboratory disinfectants as well as heat sterilization of only 250°F for 15 minutes. In a wide array of other studies, samples of transmissible spongiform encephalopathy-infected material treated with similar sterilization methods were shown to remain infectious; thus, indicating that other factors not related to bacteria result in the transmission and/or persistence of the disease.” — Source: French, Hilari Maree, "Characterization of Spiroplasma mirum and its role in transmissible spongiform encephalopathies"
“Nearly all experimental examination of TSE-causing agents point to proteins at the infectious agent. The hallmark study of the prions’ role in transmissible spongiform encephalopathies was conducted by Dr. Stanley Prusiner who demonstrated that after adding enzymes that destroyed DNA and RNA to scrapie-infected brain material, the material remained infections. These enzymes would have damaged or destroyed bacteria present in the samples. However, when he added protein-neutralizing enzymes to the scrapie-infected brain material, it’s infectivity plummeted. Thus, he demonstrated that the causative agent of the disease was most likely protein based, not bacterial-based. It should be noted that Prusiner’s work earned a Nobel Prize due to its rigor and reproducibility by other researchers. — Source: Prusiner SB. (1982). Novel proteinaceous infectious particles cause scrapie. Science. Dr. Bastian pointed to both his own research and colleagues' findings to support his belief. Of which seem to suggest this isn’t just a problem for cervids, but that it could possibly be transmissible to humans. “I know there has been some controversy in regard to transmission to sub-human primates,” Bastian said. “Creutzfeldt-Jakob Disease (CJD), the human form [of CWD], usually affects between 40 and 80 years of age, right in the prime of your life. It’s an infection. How they discovered the problem in England is, all of a sudden, they could start to see the disease in teenagers, suggesting a more virulent form of the organism. And in fact, pathologically, there are changes that support that they were associated with a more virulent form of mad cow disease. Well, if you look at CJD in the western states, where CWD is prevalent, you start to see 20-year-olds come down with CJD. That’s worrisome. And why it’s worrisome is the pathology of CWD closely resembles mad cow disease, suggesting it’s a more virulent form of the transmissible agent. But I think that will be worked out when they start studying the bacteria properly. Bastian also believes there’s a possibility that bacteria associated with CWD, and more directly, CJD, are linked to Parkinson’s and Alzheimer’s. Still, some sources are seemingly caught in the middle as to how they believe. This is what one unnamed source had to say. Bryan Richards with the USGS also had interesting input. As one might say, it seems that there are two sides to this coin. Most researchers believe that CWD is caused by prions. A few believe it’s bacterium-based. We asked Bastian why he felt his research has received so much criticism. In conclusion, it’s apparent that Bastian stands firm in his findings. And it’s clear that many other sources do not agree with him. It’s clear we still don’t know much about CWD. There’s still more yet to learn than what’s already been discovered. The takeaway — CWD is a serious issue. And anyone who passes it off as insignificant is wrong. Several challenges still arise with the big issue of CWD. First, we’re met with the challenge of detecting it. We don’t fully understand how it mutates (and science has proven that it can mutate). Bastian claims there is a cure, but time will tell. 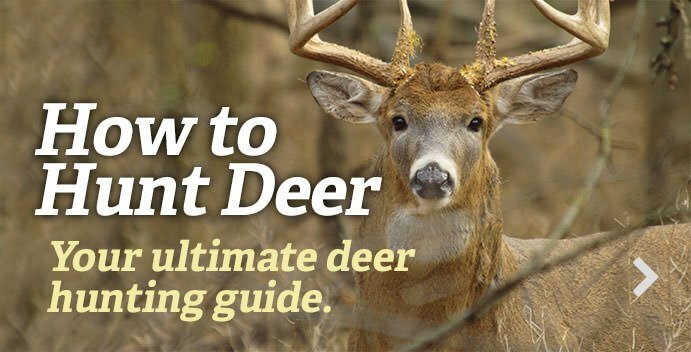 It’s killing deer throughout half the country and rapidly spreading. Managing it has been near to impossible. Too many people are brushing it under the rug. And funding we currently have for research, testing and management are pennies in comparison to what’s needed to defeat this disease. Despite those who foolishly brush it under the rug and claim it should be of no concern to you, it is a problem. Listen to the experts. Sift through the data. Think for yourself. But don’t just sit back and take someone’s word for it. And for those who recognize the threat for what it is, the last thing we should do is grow complacent. There’s still a lot we don’t know about this disease. But we know enough to realize it’s past time to take action.